It is a collection of conceptually challenging problems with solutions, with only motive to enhance your analytical and comprehensive abilities. It has thousands of quality questions to give adequate practice & revision at the last moment. For JEE (Advance) : Keeping in view the new revised objective pattern, the problems have been categorised into five sections. Detailed solutions and explanations have been given for your best advantage. 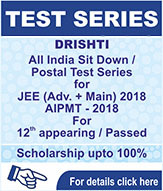 The problems are right upto the JEE level and have been selected/framed by the faculties of MOMENTUM. 600 MCQ’s with single correct answer. 225 MCQ’s with more than one correct answers. 375 MCQ’s based on comprehension passages. 150 Subjective problems matching the current standard of IIT-JEE. 75 Match the column questions. 75 Assertion – Reason type questions. Despatch will commence in 2nd week of October. For Medical Exam or AIPMT : Keeping in view the objective and subjective pattern followed in prelimns and main exams of AIPMT, the problems have been categorised into three sections. Detailed solutions and explanations have been given for your best advantage. 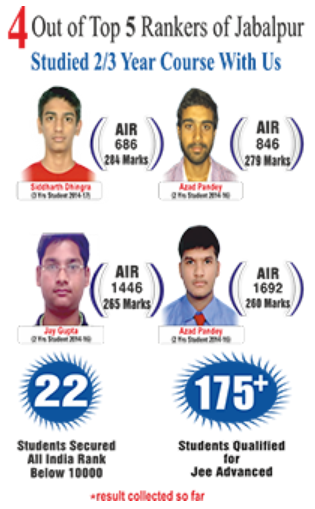 The problems are right upto the AIPMT level and have been selected/framed by the faculties of MOMENTUM. 2700 MCQ’s with single correct answer. 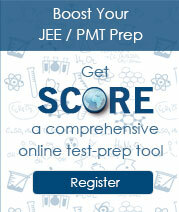 200 Subjective problems matching the current standard of CBSE-PMT. 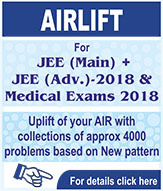 For JEE (Main) : 3000 MCQ’s with single correct answer.Detailed solutions and explanations have been given for your best advantage. Special Schemes / Scholarship / Awards Criteria Click Here. How to Apply Apply on prescribed form (Collect from our Jabalpur centre or download from our website) or on a plain paper mentioning test centre of your choice, correspondence address, permanent address, date of birth, e-mail ID, Contact Phone No. alongwith two passport size & one stamp size colour photographs, photocopy of last board exam marksheet(s), Proof to claim scholarship & Demand Draft for the course fee in favour of �MOMENTUM� payable at Jabalpur. Please write your name & address behind the demand draft.